We can offer you probe repair services for all of your broken probe repair needs. Faulty or broken probes has become mainstream in today’s ultrasound industry. This makes for an ever-growing ultrasound repair opportunity. You may find some repairs to be exorbitant and costly, and others worthwhile, cost-effective and manageable. We leverage our knowledge on certain repairs and will communicate the repair time and cost to get it back to you. We also leverage our relationships to expedite repairs and discounts to you through our contracted network of facilities. Not all repairs are always done in one place, it’s the expediency and communication that promotes for a healthy outcome, and the discounts help. 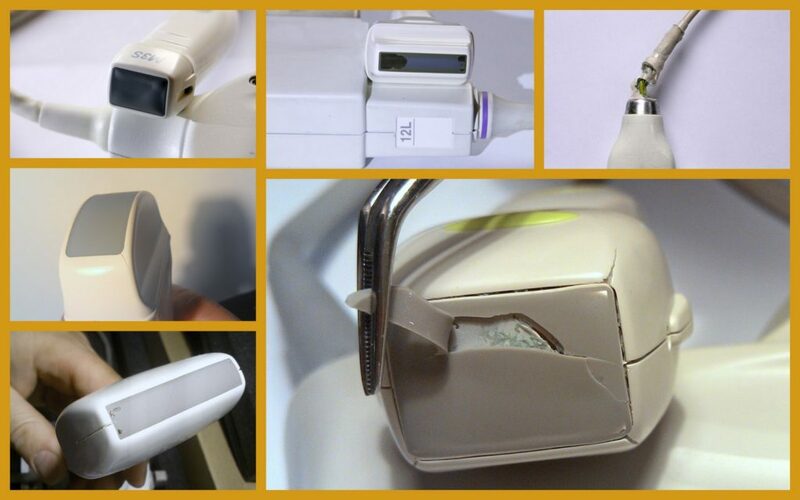 Find out what is going on with your probe today – crystal damaged, de-lamination, housing repair, cable torn. Email us to jump-start your analysis and see what costs may be involved to get your patients and your images back on track with better diagnosis and better outcomes.